2. Lower power consumption, can sleep (only 10 ua, power consumption can be triggered by key wake up). 6.dimension：53mm*38mm(PCB) (LCD to PCB surface height: 5.0 mm; PCB on the back of the highest height: 5.0 mm;) 7.Installation method: 47 * 32 mm spacing of PCB screw fixation; 8.Lead: plus or minus two red black line connected battery. Battery Fuel Gauge Monitor 12V. Battery Fuel Gauge Monitor 24V. Battery Fuel Gauge Monitor 36V. Battery Fuel Gauge Monitor 48V. 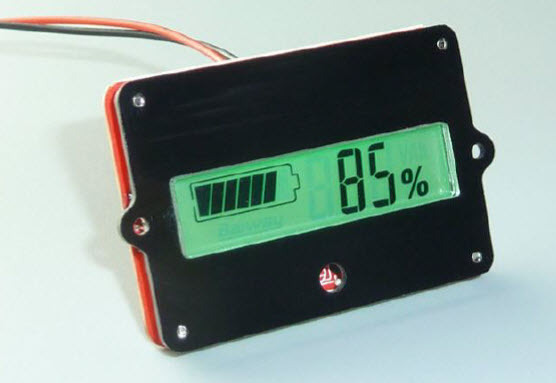 Battery Fuel Gauge Monitor 60V.